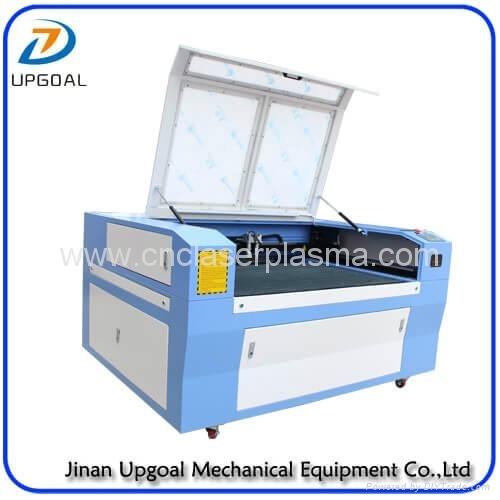 Applied to a certain of metal and non-metal materials Professional engraving/cutting such as stainless steel,carbon steel,wood,organic glass,plastic, cloth. Widely used in the industry of Advertising, craft gift, shoes, toys, garment, model, construction, package, paper and computerized embroidery &clipping. 1. 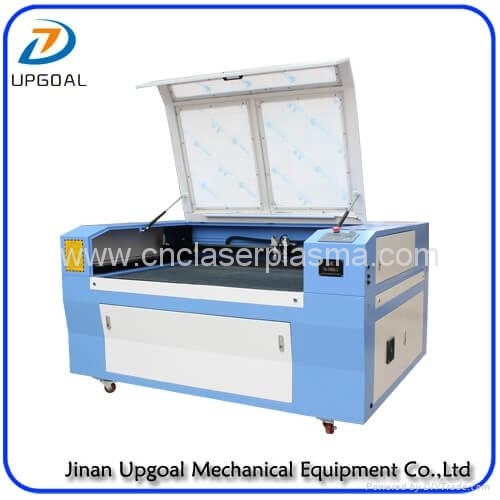 Welding machine bed with quenching treatment to remove away the stress .Milled by Large precision gantry milling machine ensured the accuracy. 2. Equipped with double metal&non-metal cutting head. Stainless steel, carbon steel, acrylic and wood can be cut. 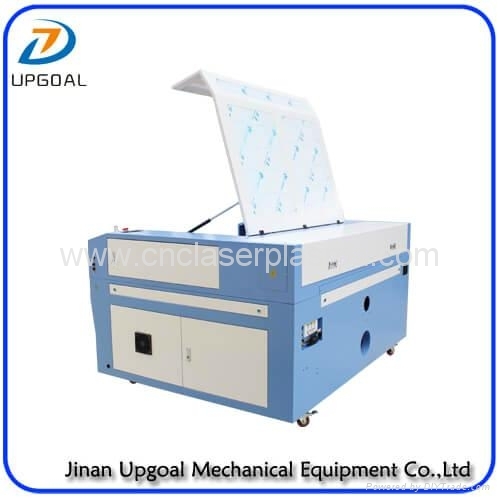 Laser head A1: with Reci W6 Co2 laser tube, mainly used for thin metal cutting & more thickness non-metal cutting, laser head A2: with Reci W2 Co2 laser tube, used for non-metal engraving and thin non-metal cutting. 3. Reci seal Co2 laser tube, strong cutting ability and long working life. 4. Adopting imported focus lens with high luminous and mirror with high relativity ensure stable power transference and laser beam consistency. Honey Comb Table: applicable to various soft materials with Good adsorption effect and low reflection ratio. Auto Lifting Table：Maximum Loading 50kgs with 300mm up-down distance. 7. Rationalized placement of the electronic parts. Optimized heat dissipation effect. Ensured system stability and anti jamming capability. 8. With advanced embedded Leetro DSP real-time laser cutting control system, running faster, laser intensity and speed automatic matching, perfectly realized the consistency of the corner cutting effect high strength cutting table, applicable for metal and non-metal cutting. 9. 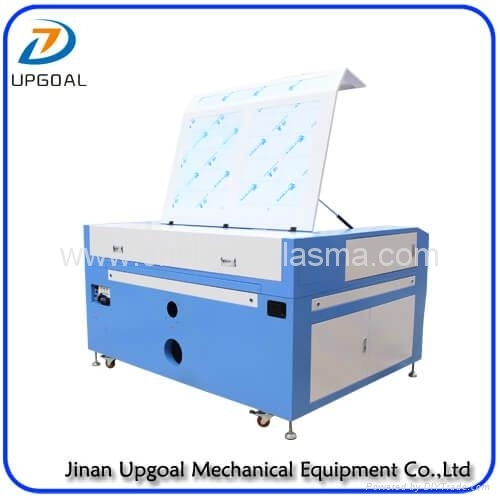 Industrial water chiller CW-5200 is equipped to ensure the machine can work last long time. For more information, just feel free to contact us!